There is no denying the fact that Redmi (Now a standalone company) makes one of the best competitive budget smartphones. The company did stagger a bit with the Redmi Note 5 to Note 6 as they weren’t really a generation upgrade. Then in came the Note 7 series and truly this actually felt like a game-changing device. This by no means is saying that the Redmi Note 4,5 and 6 series were bad. It's just that the Redmi Note 7 and 7 Pro brought humongous improvements on the table all around. It has not even been few months since the launch of the Note 7 series and people are already talking about the 8th series of the “Midrange Budget killer”. This is our take on the Redmi Note 8 and Redmi Note 8 Pro's Price in India, expected launch date, specifications, and features. Before we do begin kindly do remember that the details mentioned in the article are completely based on how Redmi have upgraded their smartphones and how the competition is responding these days. Thus, take this with a grain of salt and like we always say read on to find out more. Now lets actually a small step back into the past before we could dive into the future. The transition of Redmi Note 3 to Redmi Note 7 series has been amazing. Redmi Note 3 was the first budget phone with a powerful processor and amazing performance. It played a crucial role in defining how good budget phones can be. After that Note 4 was a minor upgrade and then Note 5 Pro was a really good upgrade. Redmi Note 5 Pro took things to the next level with Snapdragon 636 and a pretty good dual camera setup on the back. After Note 5 Pro, the Note 6 Pro looked a bit disappointing because things didn't change much and people were looking for something more. Xiaomi has always been alternating like this where the odd number version is a big upgrade and the even number just refines things. Same has been the case with Note 7 Series which carries some big upgrades in almost every department. The Redmi Note 5 Pro and Note 6 Pro came with Snapdragon 636 and now the entry-level Redmi Note 7 comes with Snapdragon 660. 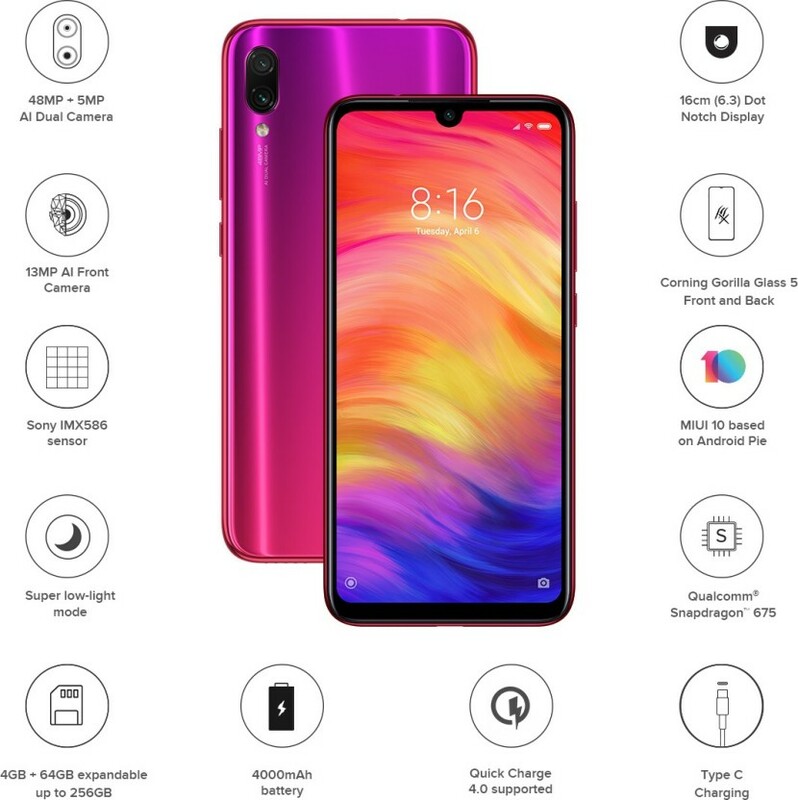 The Redmi Note 7 Pro goes one step ahead and comes with Snapdragon 675 chipset which is the most powerful 600 series chipset from Qualcomm. Now let's talk about the cameras. The Redmi Note 7 and 7 Pro get a huge bump in this department as well. The Note 6 pro had a 12MP and 5MP dual rear camera with a 20MP and 2MP front camera and to be honest they weren’t bad but they weren’t great either. The Note 7 got a better 12MP primary sensor and the Note 7 Pro got a whopping 48MP primary sensor. Both the Note 7 and Note 7 Pro saw major improvements in the camera department which in one word was simply awesome. Like always both the Note 7 and the 7 Pro inherited the huge 4000mAh batteries from their predecessors and deliver excellent battery backup. Finally, the Note 7 and the Note 7 Pro solved one huge problem that persisted ever since the Note 5 series. The Micro USB port was finally replaced with the type C port and supports Qualcomm Quick charging as well. So, like the current Note 7 series the Note 8 series is also going to be launched as a standard and a Pro variant. We think Xiaomi will continue their odd-even upgrade cycle and this 8 series will be a minor upgrade over the Note 7 series. Our expectation is that the standard Note 8 is going to continue having the same teardrop notch from the current Note 7 series. The real upgrade that we are going to see is going to be in the Redmi Note 8 Pro which could get an in display or aka punch hole camera giving an almost all display experience. Design wise, both the phones will definitely have a glass sandwich design with both the front and rear panel protected with Gorilla glass 6. Next coming to the processor, we could see the Snapdragon 665 on the standard Redmi Note 8 and the Redmi Note 8 Pro might come with the same Snapdragon 675 we saw on Note 7 Pro. But if the competition gets tough and brands like Realme get aggressive, we might see Xiaomi going with Snapdragon 730 on the Redmi Note 8 Pro. The next big thing that can be expected to be seen in the Note 8 series is the introduction of the in-display fingerprint sensor. This, however, if introduced at all would only be seen on the Note 8 Pro cause it’s a Pro feature. The Redmi Note 3 was the first phone to introduce a rear fingerprint sensor to the back in the under 15k budget segment. So, fast forwarding to 2020 when we do expect the launch of the Note 8 series the in-display fingerprint sensor might-as-well-be a huge possibility. Coming to the battery front we assume that the next gen of the Note series might see the battery bump to 5000mAh. This is considering the fact that the competition namely the M series from Samsung and the Realme series have already shifted to a higher capacity than the 4000mAh mark. Finally coming to the camera department again the standard Note 8 might get a minor bump with the introduction of at least a 5MP depth sensor coupled with a 48MP camera as seen on the current Note 7 Pro. Whereas the Note 8 Pro could well get a triple setup of a primary 48MP lowlight sensor a better 8MP ultra-wide-angle lens and a 5MP depth sensor. It will be really interesting to see some sort of OIS on the primary camera on at least the Note 8 Pro. This will be the perfect “Midrange Budget killer”. Both the phones would carry the upcoming MIUI 11 expected to release in the 2nd of this year. And considering that the Note 8 series would be coming in late 2019 or early 2020 we might also get to see Android Q running on these 2 phones. The one thing that we would love to see in the Note 8 series MIUI is lesser system-wide adds. Xiaomi if you ever come across this article please listen to this request. The UI is heavy as it is please do not clutter it with unnecessary adds. Other standard features will definitely involve the continuation of both an IR blaster and a headphone jack. However, we wouldn’t be surprised if the latter is omitted from both the phones. This would also help the sales of the army of wireless and truly wireless earphones that the company is and will be releasing in the future. The Pro edition of Note Series is always priced around 2000 to 3000 above the standard Note variant so here are the expected prices for Redmi Note 8 Pro. Xiaomi doesn't follow a proper cycle for the Redmi Note series but considering the fact that how fast other brands are launching phones these days. We will be expecting an upgrade of Note 7 series in around 8 months. 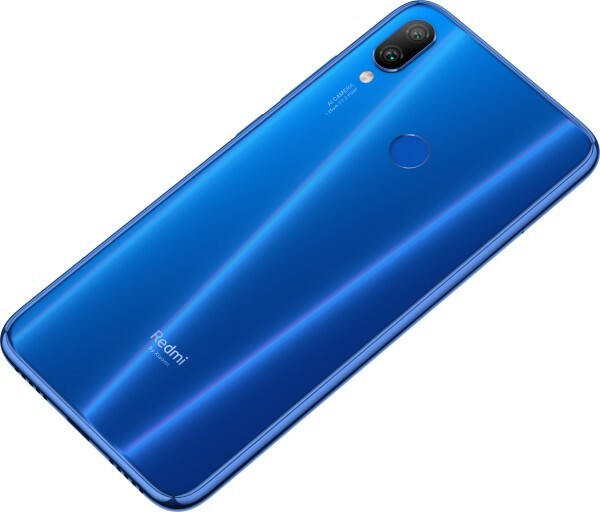 Redmi Note 7 series was launched in March 2019 so Redmi Note 8 and Note 8 Pro should launch in India around November or December 2019. Like all Redmi phones, the Redmi Note 8 and Note 8 Pro might be exclusively available on Flipkart in India. After a few months of release, you can expect to get Redmi Note 8 on Amazon as well. So, that's all we had on the upcoming Redmi Note 8 and Redmi Note 8 Pro. Currently, there are no rumors or leaks available about these 2 phones. We will keep updating this article as we get more details so stay tuned. Qualcomm recently announced Snapdragon 665 and Snapdragon 730 chipsets for the mid-range smartphones. In this article, we take a look at the exclusive details of the upcoming Snapdragon 735 chipset which will carry interesting upgrades like 5G, powerful NPU, up to 16GB RAM support and will be built on 7nm process. Snapdragon 855 and Kirin 980 are the latest flagship chipsets/processors from Qualcomm and Huawei HiSilicon respectively. In this article we take a look at the detailed comparison of Snapdragon 845 vs Snapdragon 855 vs Kirin 980. We have covered details about the CPU, GPU, NPU, Modem, Memory and ISP. A comparison table is also provided. Looking for a nice headphones under 1000? You should read this article then. We have covered a list of top 8 best headphones under 1000 available in India 2019. The list is updated as of April 2019 with latest headphones from all top brands like Skullcandy, Motorola, Sennheiser, Sony, Philips and JBL. All these brands provide immersive audio quality with deep bass. Are you looking for a new pair of wireless earphones? Take a look at this article where we have covered the best wireless earphones available in India as of 2019. Top wireless earphones under Rupees 1000, 1500, 2000, 3000, 4000 and 5000 have been covered in this article. All these earphones deliver great bass and excellent sound quality. So take a look now. In this article we have covered the best headphones under 2000 available in India 2019. The list is updated with latest wired and wireless bluetooth headphones launched in or before March 2019. We have covered headphones from brands like boAt, Sony, JBL, Audio and Philips. Few good headphones under 1500 are also listed.